February 4, 2019 Update: Vivek sends his apologies, but for the first time in 6 years, he is unable to join us in March, due to family/personal issues. He promises to join us again in Chicago this Summer. 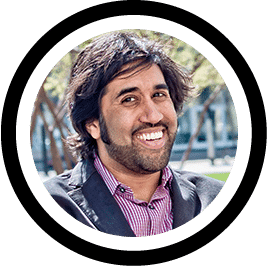 Vivek Tiwary’s New York Times best-selling graphic novel The Fifth Beatle – The Brian Epstein Story, is being turned into a television event series, produced by Sonar Entertainment (MTV’s The Shanarra Chronicles, FX + the BBC’s Taboo). They will combine Vivek’s powerful script with the use of The Beatles’ original songs — a combination that should make for a phenomenal TV Series. Vivek is a multiple Tony Award winner (Green Day’s American Idiot, The Addams Family, The Producers), and he’s very excited to be joining us, getting us up to date on the project and will be treating us to some more exclusive readings from the script. Vivek is also the producer of the current Little Jagged Pill.